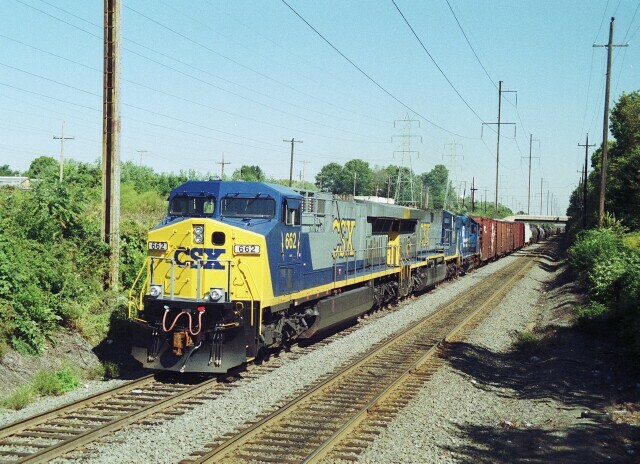 A train is parked on the siding at CP Berry on the Trenton Line, a frequent occurence in the months after the Conrail split in June 1999. The big news is the new power on the head end. 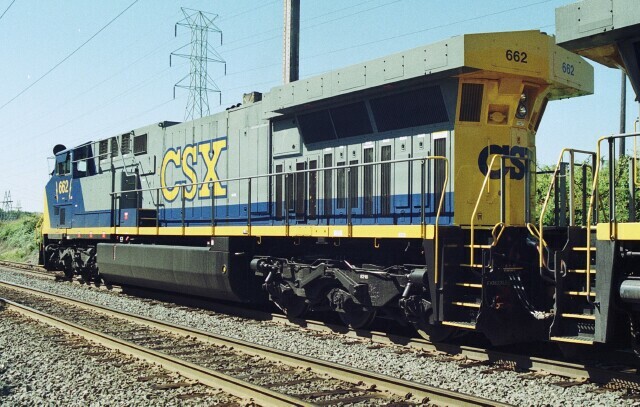 You can almost smell the fresh paint on this four month old CW60AC (aka AC60CW) CSX 662. 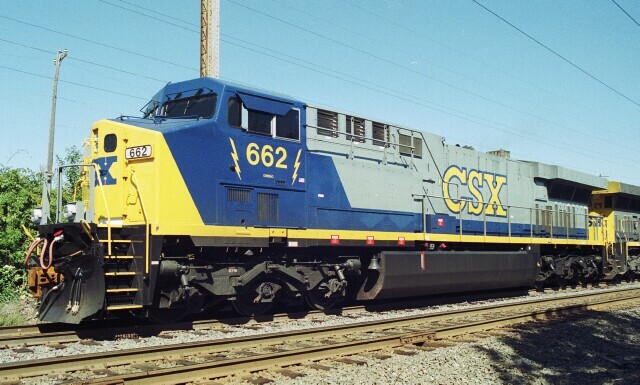 The introduction of the dual vertical lightning bolts on the cab came with the new AC units. 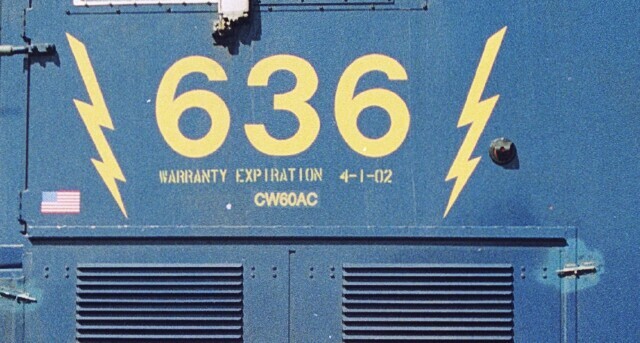 The CW44AC's featured a single horizontal lightning bolt under the number. 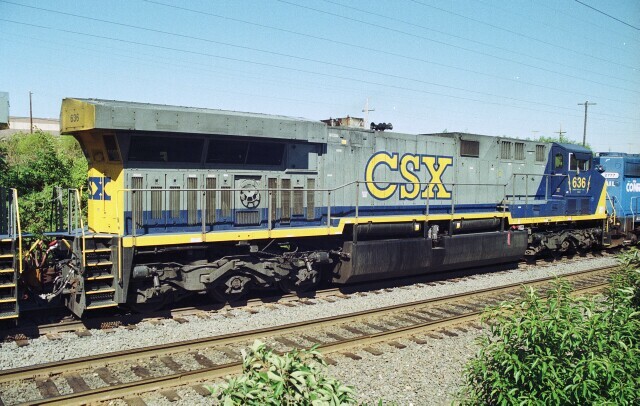 The new units also got yellow CSX letters outlined with blue as opposed to the solid blue letters on previous Bright Future units. 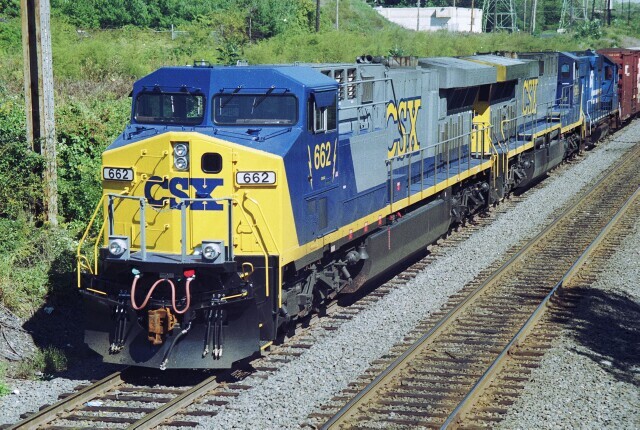 Sister CW60AC CSX 636 is twice as old as CSX 662 and is showing a little bit of grunge on its "stinger", the protuding radiator assembly on its tail, another detail that distinguished the new engines from the earlier GE units like the CW44AC and the older C40-9W. And just in case something goes wrong, the warranty expiration date was painted on the cab.